The Australasian Society for Experimental Psychology was created to conduct an annual meeting for the presentation of research in experimental psychology (broadly defined). Because its only role was to conduct the meeting it was initially known as the Experimental Psychology Conference or EPC and still regularly uses that title. 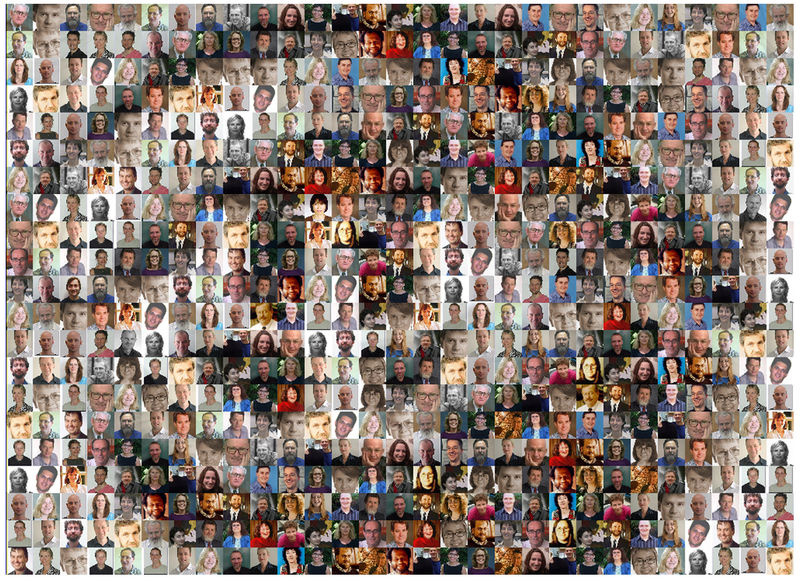 The Society has had a band of loyal partcipants many of whom are depicted in the photocomposite below(created by Chris Davis for the 2005 conference). A more detailed account is provided in the History section of this website. Since its inception the meeting has adopted an extended talk / question time format (currently 15 minutes / 5 minutes) which marries well with the role of the meeting in providing more tutorial style talks than many international conferences. There has always been a focus on graduate students providing their first talks. The extra question time allows for constructive, rather than telegraphic, feedback. The members of the Society has discussed the format regularly but, so far, have preferred the possibility of more extensive interchange. NOTE: These pages are still under construction.